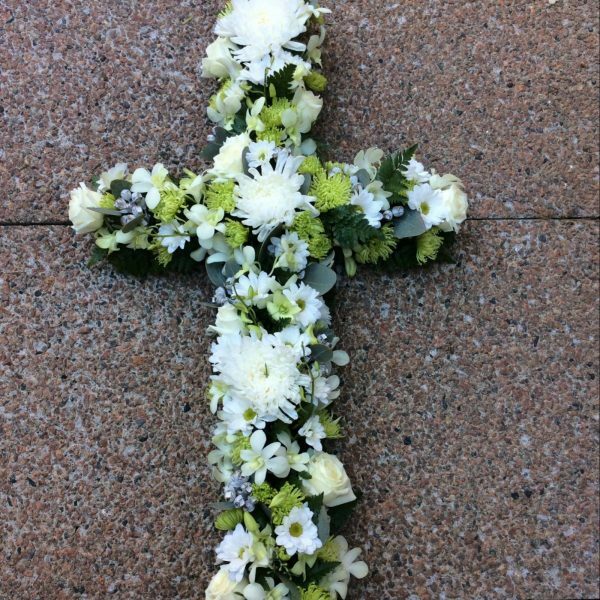 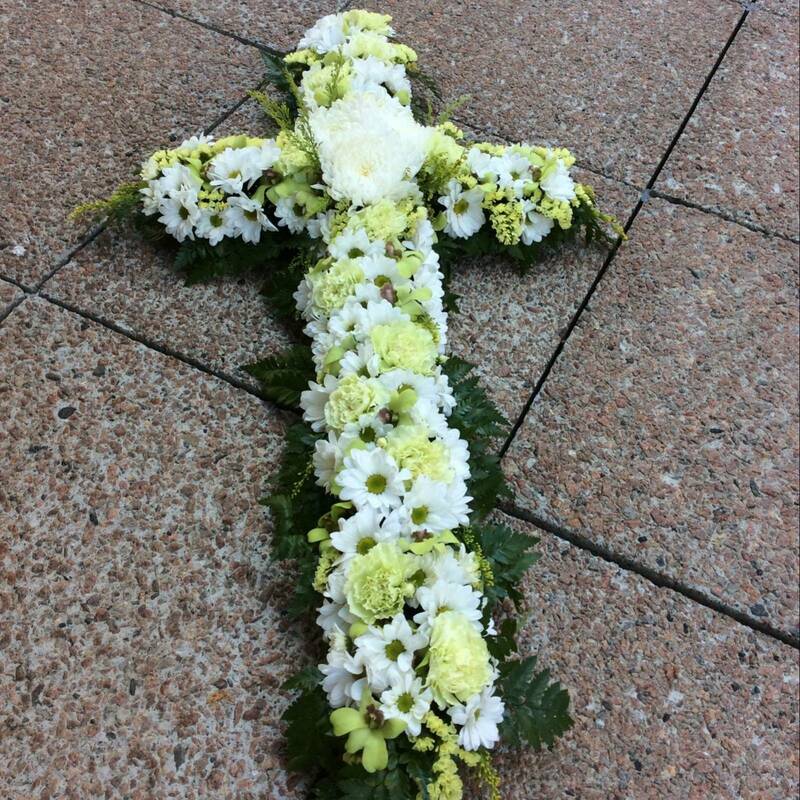 A Classic Cross shape tribute made using fresh, seasonal white flowers. 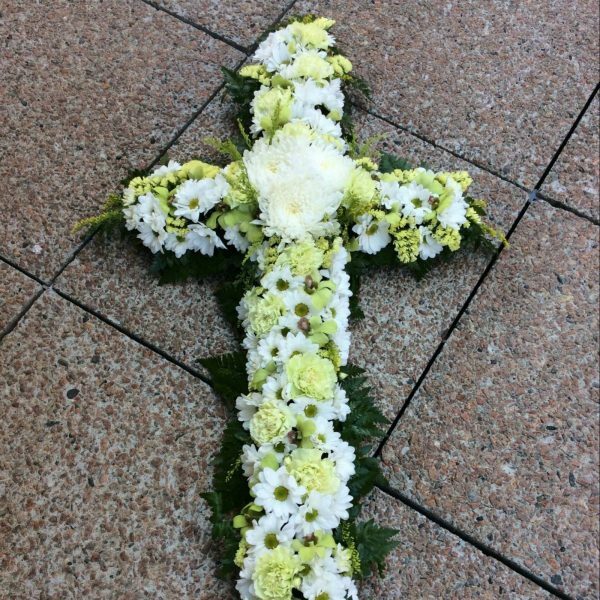 approx 85cm. To ensure that we have the flowers required we need a couple of days notice to make a floral cross for you.